Plan9 aims to provide female entrepreneurs a platform to perform, given the difficulties a Women Entrepreneur faces. Get Organized to Achieve & Lead (GOAL) is arranging a one day Women Entrepreneurship Conference (WECON’17) on 11th March, 2017 at Higher Education Commission, Islamabad. TiE Islamabad, Plan9, Jang Media Group, WECREATE Center Pakistan and OPEN Islamabad will be the partners for the event. Pakistani working women face a lot of problems in almost every field. Institution of an annual platform for promotion, engagement and support of female Entrepreneurs across Pakistan. Building of a feasible, continuous ecosystem and mentor network. The encouragement of participation of young women. Observation and learning from the Iconic Women Entrepreneurs. The gathering would include policy makers, enablers and iconic women entrepreneurs namely Maria Umar, Zainab Tariq, Ayesha Hamid and many other honorable guests who will discuss, plan and ideally inspire. Under this the discussions would be aimed at uniting the existing support networks as well as mentors to bring about a better environment for women entrepreneurs to work. The aim of the session is to create awareness of the facilities available at the moment for the women led startups. Success stories would be exhibited in this session in an attempt to encourage others to follow the footsteps. 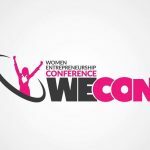 WECON will establish an annual platform promoting, engaging and supporting the female entrepreneurs of Pakistan. It will help in building a viable and sustainable ecosystem, mentor network and marketplace. Moreover, it will encourage the participation of young females from higher education institutions in entrepreneurial activities. It will provide a platform for celebrating and learning from iconic women entrepreneurs.